Do I Have to Pay Tax on Online Surveys Income? Do Canadians Have to Pay Taxes on Online Surveys Income? Survey takers who have generated a healthy amount of income from taking online surveys might wonder, come tax time, if they have to pay Revenue Canada taxes on their earnings. The short answer? 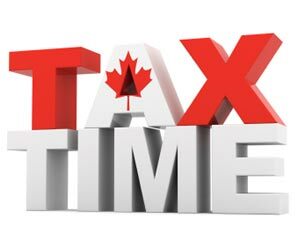 Any and all income generated by an individual or business in Canada must be reported to Revenue Canada and must be claimed on their income tax return. Should I expect to receive a T4? Think of the relationship between a market research company and survey taker like that of a home owner and a plumber who works on a pay-what-you-can arrangement; the plumber is hired to fix a leaky faucet say, and follows through with the job and fixes it nicely. Traditionally the homeowner would be billed/invoiced by the plumber, but instead, in this case, the plumber is paid what the homeowner thinks is fair. After receiving payment, it is then the plumber’s responsibility (not the homeowner’s) to report this income to Revenue Canada by filing a tax return. With online surveys then, it is the responsibility of the survey-taker to file their own taxes and report their survey income on their personal tax return. How do I report my survey income? Earnings from online surveys can be categorized under “other income” on a personal tax return. This line is for income that is not reported on T4 slips such as tips, etc. On line 104 of a personal tax return, report the total income you earned from surveys. You can label the line something like, “online survey taking” if you are attaching a detailed outline of what you are claiming. This completely depends on what your total income is (from jobs, selling stocks, businesses you might run, etc. ), what deductions you may have, and what province you live in. Provincial tax rates vary (do a search for “Canada provincial tax rates” online to find what they are in your province) however federally, everyone pays the same amount of tax, depending on which tax bracket they fall into. Remember that, especially if you are a low income earner, the first (approximately) $11,500 of income you earn can often be tax free (federally) through the basic personal amount you may claim on your personal tax credits form. This is especially relevant if you are a student, a stay-at-home parent, on a sabbatical, etc. and have very little total income – the income you generate from online surveys could end up being tax free! Consult a tax expert to be sure. Like the old adage says, there are two things in life one can never escape: death and taxes. Rather than get discouraged about it, it’s best just to accept it, pay Revenue Canada its share and move on. After all, the tax we all pay goes towards the building and maintaining of roads, schools, parks, hospitals, and more. Not to mention benefits to the elderly, the disabled, the poor and the funding of essential services including police and fire. While making contributions to these through the payment of taxes might not be the most fun thing to do, it’s the system we have in place and it benefits all Canadians who are part of this magnificent country. Looking to join more survey panels? Check out our free surveys list! ***Disclaimer: although we strive to provide information as accurate as possible, we cannot guarantee the accuracy of the tax information provided here. Due to the nature of the information provided on this page, we urge you to seek professional advice from a tax specialist rather than taking the information presented here at face value.